On connecting traits to genes in plants and animals, the authors pose a number of thought-provoking questions in this area. What are the genes and the mutations that underlie the evolution of drug tolerance in malaria parasites, or of insecticide resistance in their mosquito hosts? How do species adapt to anthropogenic challenges, such as climate change, or polluted environments? They add that such lingering questions in the field of evolutionary genetics, with both fundamental and societal implications, rely on our understanding of the link between the traits observed in living organisms (the phenotype) and the genes. 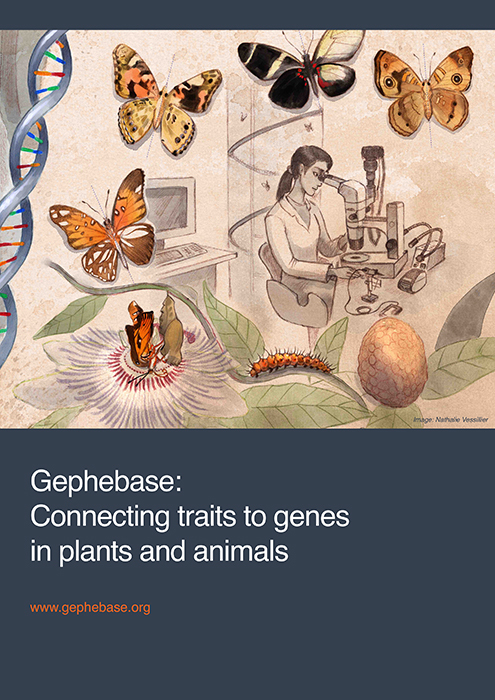 In addition, we find out about the astounding Gephebase, a universal, single resource integrating accumulated knowledge of more than 1700 genetic loci of natural, domesticated and experimental phenotypic variation. Each entry here corresponds to a genetic change associated with a phenotypic difference, along with bibliographical information, molecular details and taxonomic information. The data is available at www.gephebase.org if you would like to learn more. One point that stands out is that it’s important to gather data from multiple species into one database, Virginie Courtier-Orgogozo explains. We also learn that both dogs and humans adapted to starch-rich diets in the Neolithic era by multiplying the number of copies of a salivary enzyme gene. What makes Gephebase stand out is that their dataset is the only existing resource compiling the cases of evolution of resistance among parasites (e.g. infectious yeasts, malaria), vectors (e.g. mosquitos) and agricultural pests (e.g. blights, insects, weeds and nematodes) to the chemical arsenal that humans have deployed against them. We find out more about this fascinating database, Gephebase, that is currently run on a voluntary basis by a few dedicated curators. Looking ahead, the aim is to seek out new solutions and opportunities to maintain and expand the database and to spark the community’s interest in it. I hope you enjoy reading this absorbing insight into the field of evolutionary genetics.